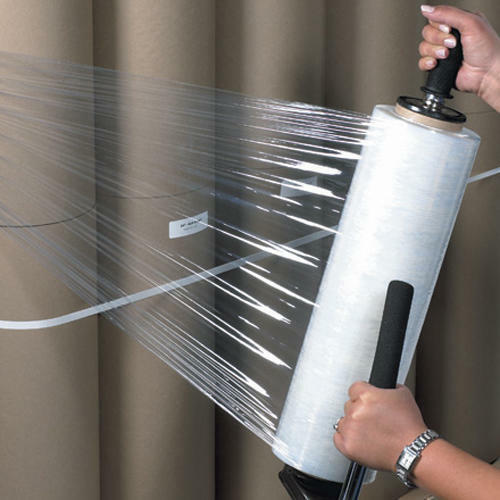 We have highly acknowledged organization engaged in presenting a remarkable range of Packing Stretch Film. Established in the year 2012, at Thane, (Maharashtra, India) we, “J. K. Fabrics”, are one of the leading manufacturers and suppliers of a wide range of premium quality Tarpaulins, H.D.P.E. Bags, P.P. Bags, Sugar Bags and Fabric Bags, etc. The products we offer are manufactured using excellent quality raw material, which is procured from the named and trusted vendors of the market. Our products are preferred for their various features like durability, quality, tensile strength, designs, accurate dimensions, Eco-friendly and reusable for the environment. We also customize the products according to the specified dimensions and requirements of our esteemed clients spread across the nation and deliver within the mentioned time period. This range is widely demanded in gardens, resorts, playgrounds, swimming pools and varied other areas so as to meet covering and shading requirements.